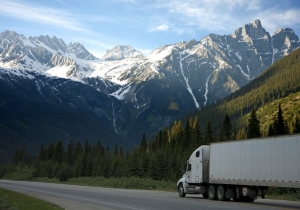 Truck driving is a popular career path because the training doesn’t take too long to complete, it pays good wages and there is plenty of opportunity for advancement. If you think driving truck is right for you, here are four tips that will help as you begin your career. You have two potential options to get started as a truck driver—get hired by a company who pays for you to get your commercial driver’s license (CDL), or get the CDL yourself, and then find a company. Although you’ll need to pay for your training if you elect to get the CDL first, it can open up better job opportunities, making it a wise investment. When you’re spending long hours on the road, it’s easy to neglect your body by never exercising and eating a lousy diet. This catches up with you over time, and it’s essential that you take good care of yourself on the road. Make yourself healthy meals and snacks before each shift so that you don’t need to resort to fast food. Get at least 15 minutes of physical activity before shifts and during breaks. Apply sunscreen when you drive during the day, because hours of the sun shining, even through your truck’s window, can damage your skin. It’s important for any driver to have the proper insurance, but this is even more crucial when you’re a truck driver with a massive vehicle and valuable cargo. While your company may provide commercial trucking insurance, these policies don’t necessarily cover everything. If not, purchase your own policy from a company like Metropolitan Insurance Service Consultants or someone similar to fill in the gaps. It’s normal in the trucking industry for the newest drivers to get the routes no one else wants at the weirdest hours. If you want to succeed, you’ll need to grin and bear it. Do your best to always be on time, and never turn down any loads. Be professional with your colleagues and willing to go the extra mile (sometimes literally). Showing your company that you’re a hard worker will help you advance through the ranks and get the better routes. If you enjoy driving and are willing to put in the work, truck driving could be the perfect career. Use the tips above to make your adjustment to it as easy as possible. How Much Does a Typical Truck Driver Earn? Facing Financial Failure: What Are the Benefits of Filing for Bankruptcy?